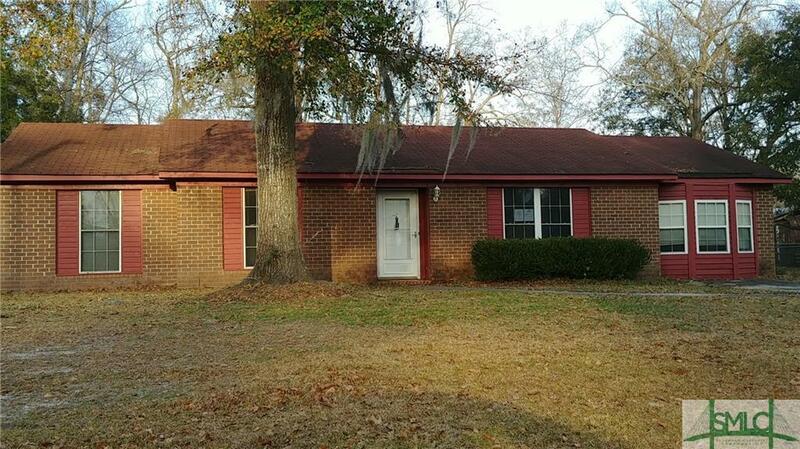 3 bedroom 2 bath all brick ranch with a bonus room. Large back yard, rear porch. Convenient to Berwick Village shopping, Hunter Army airfield and Ft. Stewart. Sold as is. No seller's disclosure available. The Following Flood Zone Information Has Been Obtained For The Property - Flood Zone Designation x500. The property was built prior to 1978 and lead-based paint potentially exists. This property MAY qualify for seller financing (Vendee).